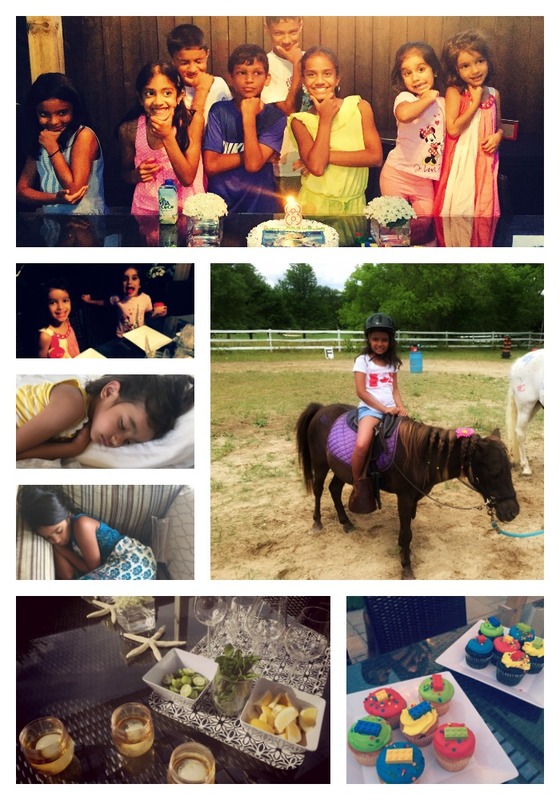 it's my girls' world: Weekending--- how is it mid July already?! I totally blogger failed with my lack of picture taking this weekend but it was full of the aforementioned sunshine and smiles. + enjoyed a lazy Saturday at home during the day as C had the sniffles and wasn't up to much. I did manage to go for a midday walk and Starbucks run. + went to an evening get together by some family where we had yummy food, spherical ice cubes, and celebrated an eighth birthday with ice cream cake and Lego cupcakes and conversations that went way into mindnight. + had burgers, corn on the cob (A had two!) and a playdate with friends on Sunday. ... and just like that it was Monday again. Sounds like a pretty great weekend, regardless of the lack of pictures! Olive tasting sounds amazing! I LOVE olives. The weekend always goes by so fast! Hope you have a good week. Such fun!!! That's how life should be. Lack of photos means you were soaking it all in and having fun. Sounds like an awesome weekend to me!